Discussion in 'DRC Site Feedback' started by roscoryan, Oct 14, 2008. A recommendation for an addition forum in the "Internet & Other Radio Forums" section, which could cover cell phones and wireless devices...these technologies are allowing many radio and media features to be integrated into them, including Satellite Radio. I personally use my Windows Mobile 6 phone for all my media, including my MP3's, SIRIUS and XM radio, and more. I still have the inactive Razr. I could not let the wallpaper go. Sounds like a great idea, since this forum is really dedicated to digital electronics that allow the listening of digital music. Certainly this day and time that includes cell phones. Not a bad idea at all. Especially as Verizon and Sprint are getting into the content delivery business over the past couple years with thing like VCAST etc. I got that from rosco as well. I still have it somewhere. I think it's a great idea. All of these mediums seem to be converging anyway. There are some really good web sites/message boards out there that focus on this area, but I think people around here can definitely add value too. 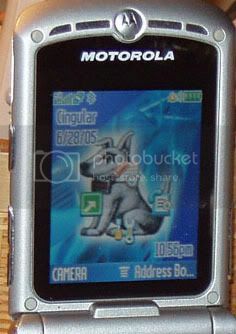 I have a Razr 2 (Motorola V9) that is capable for XM but I have not activated it. I use my phone to take pictures sometimes, but that is about the only media I will use on it. I don't use it for music or anything else, except phone calls of coarse. Does anyone else use their phone for satellite radio?